What does 3D modeling entail and how is it useful today? In the previous blog, we learnt about how 3D objects are printed into existence using 3D printing (https://www.youngwonks.com/blog/What-is-3D-Printing). It is important to know that for a 3D object to be printed, the 3D printer needs to have a 3D model file sent to it so it can print layers as per the model file. The process of making this 3D model file is called 3D modeling. In this blog we shall look at what 3D modeling is about. 3D (3 dimensional) modeling basically refers to the process of developing the mathematical representation of any surface of an object in three dimensions using specialized software. This representation is called a 3D model and a person working with 3D models is called a 3D artist. The process of displaying the 3D model as a two-dimensional image is called 3D rendering. 3D models can be created using Computer Aided Design (CAD). CAD softwares help in in the creation, modification, analysis, or optimization of a design on a computer system. 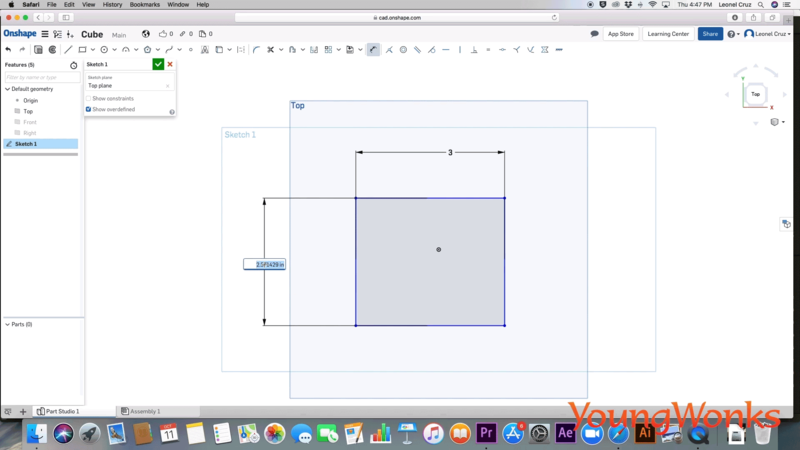 For example, if one is designing a 3D cube using CAD, it’s important to first design a sketch. A sketch is a basic outline of what the model is going to look like. One has to know and establish at this stage the length and width of the cube. And since it’s a cube, all dimensions need to be the same. The last step needs one to extrude the sketch to make it a 3D object. Now why and where is 3D modeling used? 3D modeling is used in various fields such as films, animation and gaming, interior designing and architecture. It is also used in the medical industry for the interactive representations of anatomy. In media and event industries, it is used in stage/set design. Apart from these, 3D modeling is used in mechanical and industrial design, where products are 3D modeled and the 3D models (essentially the digital representations of the actual objects) are shown first to clients, after which, subject to approvals, the actual 3D objects are made. The type of 3D modeling one needs to create a 3D model depends on the 3D object in question. This 3D object could be a car, a jet, nuts and bolts and even characters from a movie. As the name suggests, this type of 3D modeling relies heavily on the object parameters (width, height, breadth, length). It is used to make/ design objects such as a cube, a mount for a motor in a robot or even a car (shown above) or a jet, all of which need to be made as per certain size / parametric specifications. Here the exact measurements take priority in the design process and quick design alterations are possible. This means that parametric modeling is great for design tasks that involve exacting requirements and manufacturing criteria. Hence, it is used in product design and manufacturing and is typically used by industrial designers. For example, when companies are looking to make families of products that have slight variations from a core design, parametric modeling is ideal. If one has to make a mount for a motor, first the motor design is mapped out, followed by that of the mount and then one checks - using the CAD software - if the 3D motor model fits well on the 3D mount model. 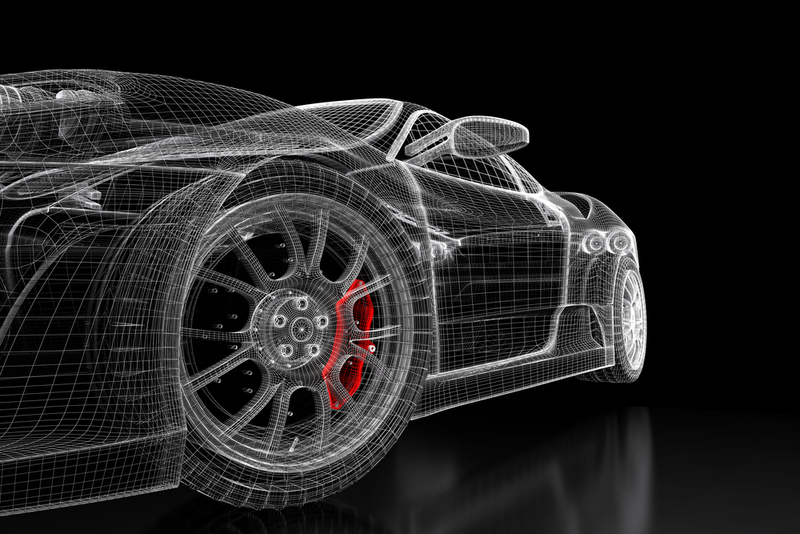 The advantages of parametric modeling also include: the ability to easily interpret the design intent when a certain element is changed and smooth integration with manufacturing processes, which in turn results in shorter production time. One downside to this method of 3D modeling is that parametric models require more time to update when unexpected design changes occur. This technique of 3D modeling is concept-driven rather than measurement-driven. It’s akin to making something out of clay, where the object depends more on artistic vision than set dimensions. It prioritizes conceptual thinking and feels like sculpting “digital clay”. It is typically used today in animation and video game industries to create/ design 3D objects such as CGI (computer-generated imagery) movie characters and video game characters (see above). Here measurements don’t take precedence like in the case of parametric modeling, instead it’s more about improvisation. A majority of 3D models today are built as textured polygonal models because they are flexible and because computers can render them quickly. 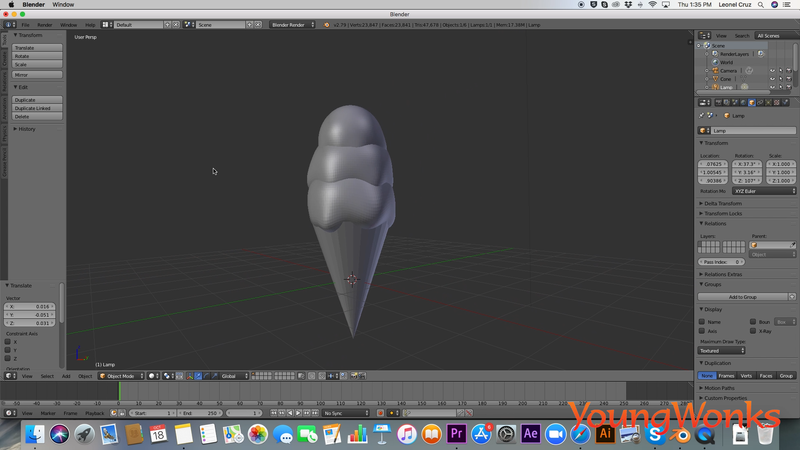 Take for instance, the 3D model of an ice cream. To create this 3D model using a polygonal modeling program, a unique approach is necessary. As shown in the video below, the shape of this model and the size / dimensions of different parts of the ice cream can be determined by pushing / pulling random areas of its surface. Smoothing operations bring this model to the next level. Time can be saved by duplicating the initial ice cream ball and by changing the size and the rotation of the copies. This sculpting technique gives us very convincing results. This goes to show that one can make any kind of 3D object using polygonal modeling. This type of 3D modeling is preferred by today’s artists; more often than not, the objects designed using this type of modeling are meant only for the virtual - and not the physical - realm. 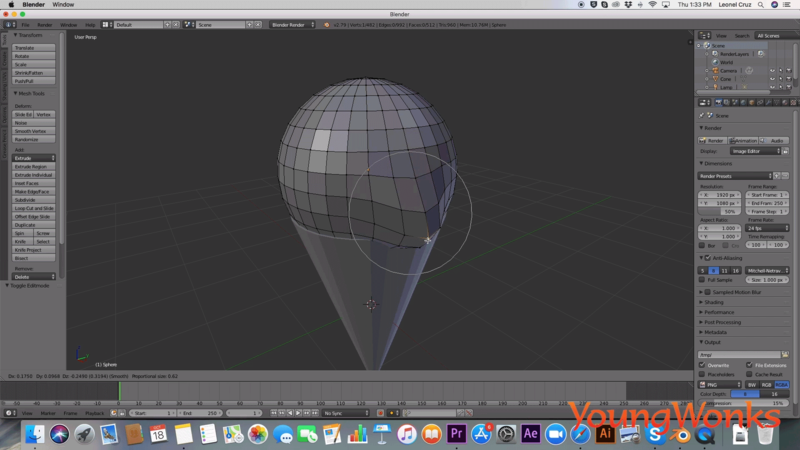 The above explanation also means that to know which type of 3D modeling technique to use, one needs to know the type of 3D object being designed/ created. If the object demands strict adherence to measurements, parametric modeling is chosen whereas in cases where creativity is of utmost importance, polygonal modeling is used. Now it is important to stress that after creating a 3D model file, having a model prepared is recommended; of course, this requires the 3D printers and 3D printing softwares. One needs to judge for oneself if the model design is such that it can be printed. The model should be watertight / waterproof; there should be no holes in the model. So how do you send the 3D modeling file to the 3D printer? Some printers enable you to print the 3D object anyway you want. One can send the file to the printer wirelessly; which means that just like with a regular printer, you get to select a printer and the said 3D printer receives the 3D model file and prints the 3D object. Alternatively, you can connect your computer to the said 3D printer via a USB and then send the file to the printer or even take a thumb/ pen drive containing the 3D model file and plug it into the 3D printer. Some printers are only thumb drive/ SD card enabled, so the only way to transfer the file here is to copy it onto the USB drive, insert it in the printer, use dial to select the file and hit the print button. Which brings us to the question: how do we translate a 3D model file on a computer to something that’s now printable? Now the first thing is slicing; at times, it is carried out by the CAD software itself. What’s slicing? As seen in the previous blog/ video, we know that a 3D printer makes a 3D object layer by layer. This means that the printer needs to know what has to printed in each layer. This is where the slicing software comes in. Slicing is the process of breaking down the 3D model file into slices so as to instruct the 3D printer what needs to be printed in each layer. At times, the slicing software is part of the 3D modeling software. 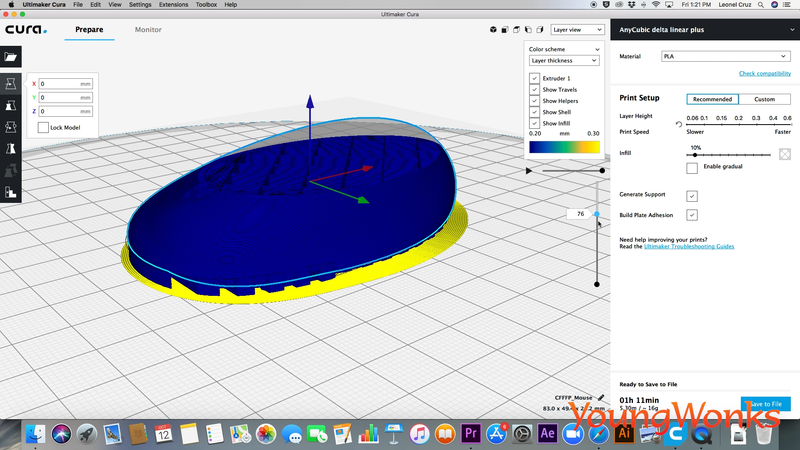 The most common slicing software/ 3D printer slicing application is called Cura. 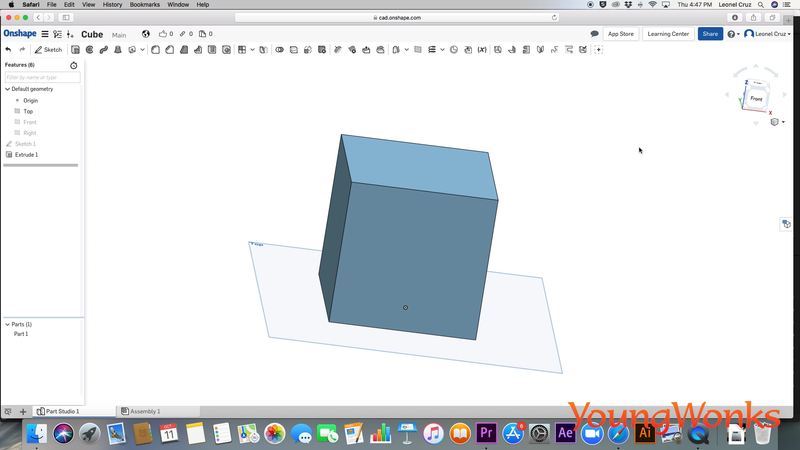 What Cura does is once the 3D model file is ready, it refers to the file and breaks it down into separate slices. That’s how the 3D printer can easily identify what it needs to print in each slice. And once the 3D printer prints all the layers as instructed by the slicing software, we have with us a brand new 3D object. For beginners, the ideal 3D modeling CAD software would be Tinkercad; it’s an easy-to-use browser-based 3D CAD tool. It’s cloud-based and is a website (www.tinkercad.com). It can run on any computer and one doesn’t even need to install it on one’s computer. You just have to go to website, create an account and log-in. It’s extremely user-friendly as it’s meant for people who are new to 3D modeling. Another 3D modeling software is Google’s SketchUp; it is a 3D modeling program for architecture. There are also many advanced 3D modeling softwares; these can be rather intimidating as they offer way more elaborate menus with lots more options in terms of instructions, tasks and specifications regarding how we want the 3D objects to look. These programs include Autodesk’s 3D modeling and animation program Maya, which is meant for animators and video game makers; there’s Blender, which is an open-source modeling and animation program, so it’s like Maya except it’s free. There’s also ZBrush, it’s a great digital sculpting tool. If you like traditional fine art, you might like ZBrush because it’s like sculpting with digital clay, specially if use a stylus or Wacom tablet. Similarly, there are advanced parametric modeling programs such as Autodesk’s Inventor while another one is Onshape, which is free-to-use, web and cloud-based so we don’t have to install it. How can one sculpt things as part of 3D modeling? One way is to use the mouse; one can click, drag or push the mouse so as to design the 3D object. One can achieve greater dexterity with the help of a pen, a pad - these are easily available in the market. There’s also Wacom, it’s a graphic tablets brand and these Wacoms are meant to be used for professional level 3D modeling, so they are a great investment. Today, one also sees in the market 2-in-1 desktop computers that are equipped with a touchscreen, so you can make the 3D model using touchscreen on the surface of your monitor. That said, it’s a good idea to not go overboard and not spend more than 100 USD on fancy equipment and fast programs especially when you are not a 100 percent sure of using these things. It’s best to stick to the good ol traditional mouse while starting out. In terms of 3D programs too, start with something that’s free and easily available and then formulate your own opinions based on how you feel / what you discover when you try it for the first time.